Medical product manufacturers are held to stringent standards for cleanliness and sterility of the parts they make. However, surgical implant manufacturers have to hold to an even higher standard of sterility and surface condition than most other manufacturers since their implants are going to be permanently imbedded into a patient’s body. If there are any particulates or contaminants (such as bacteria) on or in the implant, it could cause complications such as bruising, swelling, or infections which can be harmful—or even fatal—to the patient. 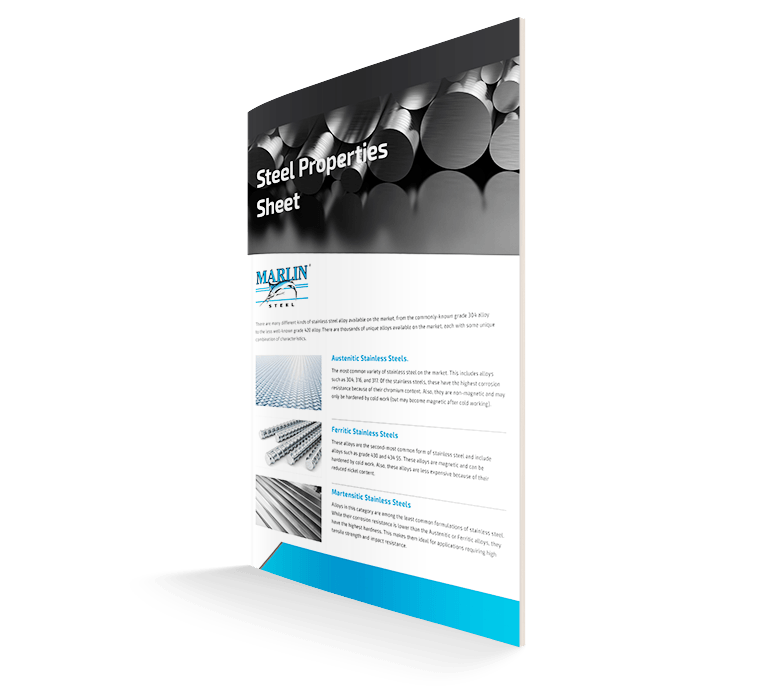 So, when a medical implant manufacturer approached Marlin Steel for a set of small parts cleaning baskets to hold their medical-grade tantalum implant components through a sterilization process, Marlin’s engineers were extra-careful about how they optimized the basket’s design. One of the big challenges in medical parts cleaning is ensuring complete sterility for the parts the basket will hold. If the basket allows any runoff to collect inside or obstructs the cleaning process in any way, then the end product risks contamination and may need to be reprocessed repeatedly to reliably achieve sterility. Also, the parts themselves featured an open design with a porous structure meant to encourage bony in-growth and vascularization. So, having lots of open space to promote air flow would be necessary to help ensure sterility with a single wash cycle. However, the open spaces couldn’t be too large—or else the smaller tantalum parts could fall out of the basket during the wash cycle. While tantalum has a high fatigue strength and will usually bend rather than break—which is the reason the client would use it for their medical knee implant prostheses—falling into the cleaning equipment could cause irreparable damage to the parts and the equipment. To provide maximum open space while minimizing risk of parts falling out, Marlin’s engineering team created a custom-shaped two-part basket design that would hold the knee implants in place. The larger outer basket would hold a smaller raised insert that used custom-shaped holders to lock each tantalum implant securely in place throughout the sanitation process. If an implant were to be knocked out of the custom insert, then it would be caught by the larger basket. An added benefit of this insert and holder design was that it allows for future expansions of the types of implants that can be held simply by making more custom inserts. A large pair of handles was added to the outer basket—ones more than large enough to make inserting and removing the trays holding the implants easy. These handles would allow the manufacturer’s employees to easily pick up and carry the basket assembly between processes whenever needed. 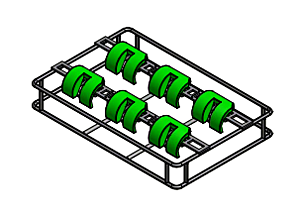 With this custom wire basket design, it was necessary to ensure that the basket could survive repeated exposure to sterilization processes while holding tantalum parts—and do so while ensuring first-try sterilization. If the client had to constantly reprocess their parts, then the efficiency of their manufacturing process would suffer as production would bottleneck at the end phases. To test the efficacy of the parts washing baskets, Marlin’s engineering team ran them through a series of virtual physics simulations using finite element analysis (FEA) software. 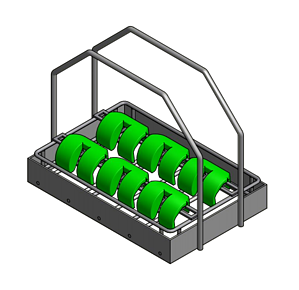 This software reproduced the conditions of the client’s cleaning process and simulated how both the baskets and the held parts would react to each wash process. If the baskets would interfere too much with the sterilization of parts, or would be damaged by repeated sterilization, the design would fail and be reworked immediately. This cycle of testing, modification, and re-testing continued until the design passed both the survivability and the efficacy standards required—standards which were set to be extremely strict because of the client’s needs. Do you need a custom medical parts washing basket delivered quickly while still meeting strict quality standards? Reach out to the team at Marlin to get started on a custom medical basket quote!